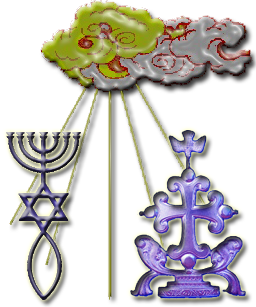 Among Mshikhanim, the Didache is also referred to as the Limudah. Mshikhanim consider the Didache to be part of our Scriptures; as such, its commandments are fully binding on all members. There are two ways, one of life and one of death; but there is certainly a great difference between these two ways. The way of life, then, is this: First, you shall love God who made you; second, your neighbor as yourself; and you should never do to others, what you yourself would not want done to you by others. And of these sayings the teaching is this: Bless all those who curse you, and pray for your enemies, and fast for all those who persecute you. For what good is it then if you love only those who love you? Do the gentiles not also do the same? But you should love those who hate you; and you shall not have an enemy. Abstain from fleshly and worldly desires. If someone strikes your right cheek, turn to him the other also; this practice shall lead to perfection. If one asks you to go for one mile, go with him two instead. If someone takes away your cloak, you should also give him your coat. If someone takes anything of your own, do not ask to have it back for what good can you do with it in the first place? Give to every one that asks of you, and do not ask for anything in return; for the Father wills that to all should be given of our own blessings which are free gifts. Happy is he that gives according to the Commandment; for he is blameless. Woe to him that receives; for if one having need receives, he is blameless; but he that receives without having a genuine need, shall pay the penalty, why he received and for what, and, coming into confinement, he shall be examined concerning the things which he has done, and he shall not escape until he pays back the last penny. But also now concerning this, it has been said, Let your alms sweat in the tight grasp of the palm of your hands, until you know to whom you should give. You shall not commit murder, you shall not commit adultery, you shall not commit paederasty, you shall not commit fornication, you shall not steal, you shall not practice magic, you shall not practice witchcraft, and you shall not murder a child by abortion nor kill a child that has been born. You shall not desire to have the possessions of your neighbor. You shall not perjure yourself, you shall not bear false witness, you shall not speak evil, and you shall not bear a grudge. You shall not be double-minded nor double-tongued; for to be double-tongued is a trap that will bring you to your demise. Your speech shall not be false, nor empty, but fulfilled by deed. You shall not be desirous of the possessions of another, nor greedy, nor a hypocrite, nor disposed to act in an evil manner, nor conceited. You shall not take evil counsel against your neighbor. You shall not hate any man; but some you should reprove, and concerning some you should keep them in your prayers, and there are others whom you shall love more than your very own life. My child, flee from every evil and everything that resembles evil. for of all these things are not becoming of a follower of Messiah. for of all these things lead to unfaithfulness and are not becoming of a follower of Messiah. for from all these things lead to idolatry and are not becoming of a follower of Messiah. for from all these things lead to theft and are not becoming of a follower of Messiah. for from all these things blasphemy is developed. But be meek, because it is the meek who shall inherit the earth. Be long-suffering and compassionate and without guile and peaceful and kind to all, always paying close attention to what you have heard. You shall not exalt yourself, neither shall you permit yourself to be bold. You shall not walk with the proud, but you should stay in the company of those who are righteous and humble. Whatever trials and tribulations come upon you, you shall receive them for your own good, knowing that nothing is done without the knowledge of God. for whenever and wherever the Word is spoken, there is the Lord. Moreover, everyday you shall seek out the people who are walking as the saints, so that you may find rest in their words. you shall judge righteously, and you shall not be partial between people when reproving them for transgressing Torah [The Law of God]. You shall not doubt whether a thing shall be or not be. Do not be found holding out your hands to receive money all the time, but drawing them in as to giving. If you have anything, through your hands you shall give ransom for your sins. or you shall know who is the good employer. Do not turn away from those who are in need; rather, share everything with your brother, and do not say that they are your own possessions. For if you are partakers in that which is immortal, how much more in things which are mortal? Do not remove your hand from your son or daughter; rather, teach them the deep reverence ((fear)) of God from their youth. for he comes not to call according to the outward appearance, but to all those whom the Spirit has prepared. And you servants shall be subject to your masters as to a type of God, in modesty and fear. You shall despise all hypocrisy and everything which is not pleasing to Yahweh [YHWH, Mar-Yah]. but keep what you have received, neither adding thereto nor taking away therefrom. In the company of your brethren you shall acknowledge your sins, and you shall never say a prayer while having an evil conscience. turning away from him who is in need, afflicting him who is distressed, advocates of the rich, lawless judges of the poor, utter sinners. Children, remove yourselves far from all of these things. See that no one causes you to err from the Way of the Teaching, for someone who teaches you to err is causing you to distance yourself from God. For if you are able to bear the entire yoke of Yahweh, you will be perfect; but if you are not able to do all of what is required, do what you are able as you learn. And concerning food, bear what you are able; but against that which is sacrificed to idols be exceedingly careful; for it is the service of dead deities. But if you have no living water, baptise in other water; and if you cannot do so in cold water, do so in warm. But if you have neither, pour water three times upon the head in the name of Father and Son and Holy Spirit. But before the baptism let the baptiser fast, and the one desiring to be baptised, and whoever else is in the company of the one to be baptised if possible; but you shall at least order the one who desires to be baptised to fast one or two days before their baptism. Our Father in heaven, may your name be sanctified. Your Kingdom come. Your will be done, as in heaven, so on earth. Give us the bread of our need this day. Forgive us our offences, as we have forgiven those who have offended us. And do not permit us to be brought into trial, but deliver us from the evil one. For yours is the Kingdom, the power, and the glory forever and ever. Amen. You should pray this three times as the Lord has taught. We thank you, our Father, for the holy vine of David your servant, which you made known to us through Yeshua your Servant; to you be the glory for ever and ever. We thank you, our Father, for the life and knowledge which you made known to us through Yeshua your Servant; to you be the glory for ever and ever. Even as this broken bread was scattered over the hills, and was gathered together and became one, so let your Holy Assembly be gathered together from the ends of the earth into your Kingdom; for yours is the glory and the power through Yeshua the Messiah for ever and ever. We thank you, holy and heavenly Father, for your Holy Name which you caused to tabernacle in our hearts, and for the knowledge and faith and immortality, which you made known to us through your servant Yeshua; to you be the glory for ever and ever. You, Master Almighty, created all things for your name’s sake; you gave food and drink to men for enjoyment, that they might give thanks to you; but to us you freely give spiritual food and drink and life eternal through your Servant. Before all things we thank you and acknowledge you as the Almighty; to you be the glory for ever and ever. Remember, Yahweh, your Assembly, to deliver it from all evil and to perfect it in your love, and gather it from the four winds, sanctified for your Kingdom which you have prepared for it; for yours is the power and the glory for ever and ever. Let grace come, and let this world pass away. Hosanna to the God of David! If any one is holy, let him come; if any one is not so, let him repent. Maranatha. Amen. But permit the prophets to make thanksgiving as much as they desire. Whoever, therefore, comes and teaches you all these things in which we have written you that have been said before to others, receive him. But if the teacher himself turns and teaches another doctrine which is contrary to this, do not even listen to him. But if he teaches so as to increase righteousness and the knowledge of the Lord, receive him as the Lord. But concerning the Apostles and prophets, act according to the decree of the Gospel. Let every Apostle who comes to you be received as the Lord. But he shall not remain within your home more than one or two days if there is a need. But if he remains three days, he may be a false prophet. And when the Apostle goes away, let him take nothing but bread until he lodges. If he asks for money, he may be a false prophet. And every prophet who speaks in the Spirit you shall neither try nor judge; for every sin shall be forgiven, but this sin shall not be forgiven. But not every one who speaks in the Spirit is a prophet; but only if he holds the Way of Messiah. Therefore the false prophet and the prophet shall be known by their ways. And every prophet who orders a meal in the Spirit does not eat it, unless he is indeed a false prophet. And every prophet who teaches the truth, but does not walk according to what he teaches, is a false prophet. And every prophet, proved true, working unto the mystery of the Assembly in the world, yet not teaching others to do what he himself does, shall not be judged among you, for with God he has his judgment; for so did also the ancient prophets. But whoever says, while prophesying or speaking in the Spirit, “Give me money”, or asks for something else, you shall not listen to him. But if he tells you to give for the sake of others who are in need, let no one judge him. You shall receive everyone who comes in the name of the Lord, and prove and know him afterward; for you shall have understanding right and left. If he who comes is a wayfarer, assist him as far as you are able; but he shall not remain with you more than two or three days, if need be. But if he wants to stay with you, and has a skill, let him work to earn his food and shelter. But if he has no skills, according to your understanding, see to it that, as a follower of Mshikha, he shall not live with you without working. He does not have to be paid in money, but his food and shelter shall be proficient for him. But if he refuses to do his part and complains that he is not receiving money, he is taking advantage of Messiah. Observe carefully that you keep away from such ones. But every true Apostle or prophet who wants to live with you or in your community is worthy of his support. The teachings of the true Apostle or prophet shall be their labor if they have no specific skill. So also a true teacher is himself worthy, as the workman, of his support. Every first-fruit, therefore, of the products of wine-press and threshing-floor, of oxen and of sheep, you shall take and give to the prophets, for they are your high priests under Messiah. But if you have no prophet, give what you are able to the poor. If you make a batch of dough, take the first-fruit and give according to the Commandment. Likewise when you open a jar of wine or of oil, take the first-fruit and give it to the prophets; and of money and clothing and every possession you have, take the first-fruit, as you are able, and give according to the Commandment. But every Lord’s day gather yourselves together, and break bread, and give thanksgiving after having confessed your sins, that your sacrifice may be pure. But let no one who is holds a grudge against his brother or who is angry with his brother come together to dine with you, until they have been reconciled, so that your sacrifice may not be profaned. Appoint, therefore, for yourselves, Bishops and deacons worthy of the Lord, men who are meek, and not lovers of money, and truthful and proven; for they also render to you the service of prophets and teachers. Therefore do not despise them, for they are your honored ones, together with the prophets and teachers. And reprove one another, not in anger, but in peace, as you have it in the Gospel. But to all those who act in an unrighteous manner against each other, do not permit them to speak, nor let them hear anything from you until they have had sufficient time to repent. You should do all of your prayers and alms and all of your deeds, as you know it is instructed in the Gospel of our Lord Yeshua. Be observant for the sake of your own life. Do no permit your lamps to be quenched, nor your loins unloosed; but be ready, for you do not know the hour in which our Lord will come. But you shall assemble yourselves as often as possible, seeking all the things which are befitting to your souls: for the whole time of your faith will not be of benefit to you if you are not perfected in The Way by the last day. and the earth shall be delivered into his hands, and he shall do unlawful things which have never yet come to pass since the beginning. but those who endure in their faith shall be saved from under the curse itself. And then shall appear the signs of the truth: first, the sign of an outspreading in heaven, then the sign of the sound of the trumpet. Then shall the world see the Lord coming upon the clouds of heaven. This version of the Didache, copyright ©2007-2018 Three-Pillars Publications. Used with permission. Unless otherwise indicated, content on this site is Copyright © 2006-2018 by the Assembly of Mshikhanim. Feel free to share the content with others by linking to the site or individual pages. Copyright © 2019 Mshikhanim. All Rights Reserved.